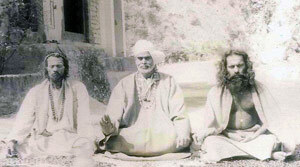 The Ascended Master Koothumi lal Singh is often looked upon as the principle overseer of the Gold Ray for this planet. Koothumi has also been Saint Francis of Assisi, Guru Ram Dass of the Sikhs, a significant player in the development of Tibetan Buddhism, Moses, and Quetzacoatl. He incarnated as a Merlin prior to the famous Merlin of Camelot to help set the stage and, along with Saint Germain, personally overlooked much of the subsequent Druid activity. He has a very deep laugh. His Twin Ray is Saint Claire. The Gold ray helps with enlightened mind, education, sciences, economies, new technology, human excellence, abundant manifestation, and will. The Golden ray of the inner earth and its kundalini gives confidence in the tangibility of your higher source. Koothumi is a Master of the Inner Earth science and his Presence is remarkable, capable of moving a lot of energy! As Lord of the initiating ray of gold, he is always very close to students and adepts when “tests” are being given by the Universe. He visits often, as a home with St. Clare, a beauty-filled valley deep in the Himalayas of Tibet near the Kashmir region, unknown to the public, where their love of nature finds wonderful reflection. 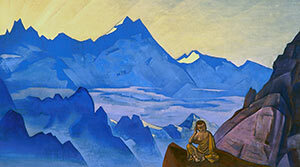 Koothumi and Saint Clare also head a retreat in Tibet in the Himalayas towards the region of Badrinath. Koothumi is an aspect of Sanat Kumara. Sometimes adepts and initiates doing specific works under koothumi will appear in dreams in a body of jet black skin, or they will clothe beings who they are working with in a jet black skin to show where the energy is being held from. This is a symbolic representation of work that is anchored beyond the light (from the tenth realm). While this choice of the appearance of a form as jet black is not limited to koothumis school, it has sort of stuck. emanation of Sanat Kumara, and thus close to Koothumi in essence. This lineage has been nicknamed the blackhats, and while for a different outer reason, the underlying reasons are not so distant.